If you were asked to name a country with loud and passionate football support, the first places that spring to mind are likely to be across Europe and South America. Germany is well known for the superb support that comes from the stands, while many other nations have a tradition of ultras and dedicated supporters. However, one area which is unlikely to be on anyone’s list is Australia. Think of sport in Australia, and cricket, rugby, Australian rules are the most traditionally popular. However, this season a brand new club is doing it’s best to change all that, with the West Sydney Wanderers making an impact on and off the pitch. With two games of the season remaining , they have already ensured that they will finish their inaugural season top of the league. The A League uses a playoff system to determine the champions, meaning they have not yet guaranteed silverware, but they will compete in the 2014 AFC Champions League and be hot favorites to triumph in the playoffs. As well as these successful results on the field, the West Sydney Wanderers fans have won praise across the country for their superb support, with loud and co-ordinated chants, as well as large flags and pyrotechnics which would be impressive even in Italy. The demographics of their home area are considered to be more European, with many Greeks and other European nations having a large population in Sydney. This has influenced the type of support given by the fans, creating the impressive visual spectacle which has got Australian sports fans everywhere talking. Far from being a European club who happen to play in the Australian league, more and more locals are being converted as they fall in love with the Red and Black Wanderers. I spoke to a number of the clubs fans during the research of this article, with many stating that they hadn’t previously cared for football, before being won over by the excellent atmosphere created at the matches after being dragged along by a friend. The West Sydney Wanderers are also breaking records when it comes to away support. Taking a thousand fans away as a new team is impressive enough, but especially so when you consider the distances fans in Australia must travel. The longest journey in the league is when Perth take on Wellington, a round trip of some 6534 miles. Suddenly, Sunderland away doesn’t seem quite as long a journey. Perhaps not used to such support, the Wanderers have had a number of issues with policing and stewarding. As football fans in England know all too well, they can be treated like criminals rather than supporters who simply want to watch their team play. Rather than sitting back and taking whatever the authorities throw at them as is the case in English football stadiums, the WSW have fought back. The Red Black Block (known as the RBB) have actively protested against their treatment, in a style similar to the 12:12 protests which clubs across Germany took part in earlier this season. I took part in two of these protests myself, with Borussia Dortmund on the Sudtribune and the away fans of Ezrebirgue Aue at their game with St. Pauli. If you are unaware of the significance of the 12:12 movement, it was a united protest from German supporters against proposed regulations which would restrict fans from following their team. Increased security at matches and a reduction in the number of away fans allowed to travel were some of the main points which caused anger, and as you can see above, the response was incredibly impressive. Fans would stay silent for the first 12 minutes and 12 seconds of the game, signifying the date of the meeting which would decide on these regulations, the 12th December (12/12). 12:12 was also chosen to reflect the nature of German support as the ‘twelfth man’. Once this 12 minutes and 12 seconds was up, the supporters would go crazy (as you can see above) and back their team in the usual passionate fashion. The RBB of West Sydney Wanderers perhaps took this influential protest as their inspiration, staying silent until the 20th minute of the game. Calling the action ‘a silent stand for our brothers banned’, the 20 minute protest was in response to banning orders of up to five years handed out to 20 of their members. These banned fans are given no chance to appeal as well as no evidence provided as to why they were banned. One such supporter who received a five year ban was told he had been waving a flare in the air. The flare turned out to have been a drumstick. The first two minutes of the below video shows the end of this silent protest, with the rest of the ground chanting “RBB” over and over, until the loudest section of the ground bursts into life. The Wanderers are by no means the only Australian club to protest against the overzealous security procedures and banning orders, with Adelaide United also performing a silent protest earlier in the season. Some of the ‘offences’ which saw fans turned away from the stadium or banned included the wearing of a Father Christmas beard at a game in December, as well as fans who were ejected for swearing or removing their shirts when the team scored a goal. A fan committee (similar to the supporters trusts seen in England) formed, but have had little success. One member of the committee at Adelaide stated: “These problems stem from the fact that our club won’t actually listen to what we’ve got to say”. Elsewhere in the A-League, a popular campaign across every stadium was entitled ‘passion is not a crime’, with Adelaide United and the West Sydney Wanderers joined by the likes of Melbourne Victory and the Newcastle Jets. Melbourne Victory supporters issued a statement from the North Terrace, which declared their intentions to protest, while reassuring the players of the team that the action had was not an indication of a lack of pride in their performances. With no slight intended on the fans of the A-League, the fact that they are prepared to stand up for themselves should be all the motivation the fans of clubs in England and Wales need. The oldest club in the A-League was founded in 1957, with the vast majority of sides beginning their existence between 2000 and 2008. If supporters of clubs with relatively little history and tradition can see that these things are worth fighting for, then why can’t those of teams which have existed for over a hundred years? In the past few weeks, a fan was denied entry at Stoke City for possessing a newspaper (it could potentially be set on fire, stewards said), while a Manchester City fan received a ban for having an electronic cigarette. These things would not be allowed to stand in other countries, however it does not appear that British football has the ability to protest. Liverpool supporters have recently been bringing banners to games to protest high ticket prices, however rather than joining in on this issue which has a serious impact on every football fan, these protests are almost universally mocked. It is for this reason that I believe the ‘Against Modern Football’ movement in the United Kingdom will never be a success, with only a small percentage of fans prepared to actually do something. For every fan that boycotts or protests, there are thousands on hand to denounce them as “not true fans” and “attention seekers”. An inability to co-ordinate protest and the supporters who will blindly back the club no matter what they do means that it is unlikely the fan action seen in Germany and Australia will ever happen in Britain. As the money continues to flood in to the game, the heart and soul continues to flood out. Will there ever be a turning point which forces fans to take action? It didn’t come with the death of Wimbledon FC, the desecration of Cardiff City or the drawn out demise of Portsmouth, all of which should have been more likely to create unrest than anything which has happened in Australia. While those Down Under continue to fight for their footballing freedoms, British football as we knew it will continue to be turned upside down. While I agree with many of the principles of ‘Against Modern Football’, I feel the term has become a fashion statement for many. Liking a page on Facebook or ending a tweet with #AMF is not going to make a change in the great scheme of things. “Football without fans is nothing” is one of the most famous statements ever made about football. Until we can show British football clubs that they wouldn’t exist without us, football supporters in this country will continue to look enviously around Europe at how good others have it. 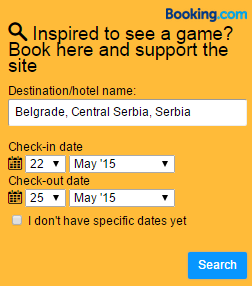 Next month I am travelling to Germany for the Borussia Dortmund vs. Malaga Champions League quarter final. For less than £80 I can fly to Germany and back, watch two teams in the last eight of European competition in arguably the best football stadium in the world. 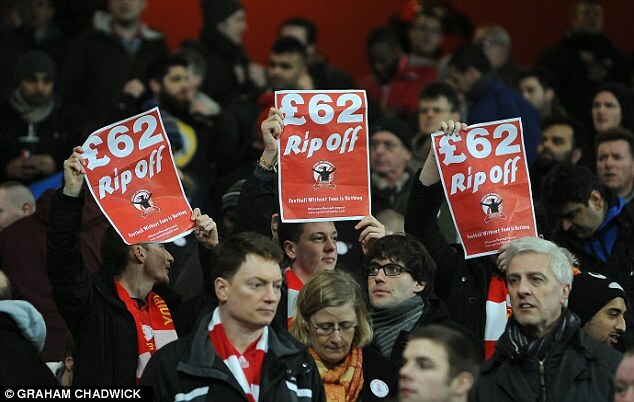 A few days later, Arsenal fans will be forced to pay more than that for a home league game with Norwich City. If this isn’t proof that something is deeply wrong with English football, what is? Posted on March 14, 2013, in General and tagged A-League, Australian football, Melbourne Heart, Melbourne Victory, RBB, Western Sydney Wanderers, WSW. Bookmark the permalink. Leave a comment.